After she ran out of gas, the Millie was rescued by another visiting loco – a rather beautifully lined Accucraft Caradoc. 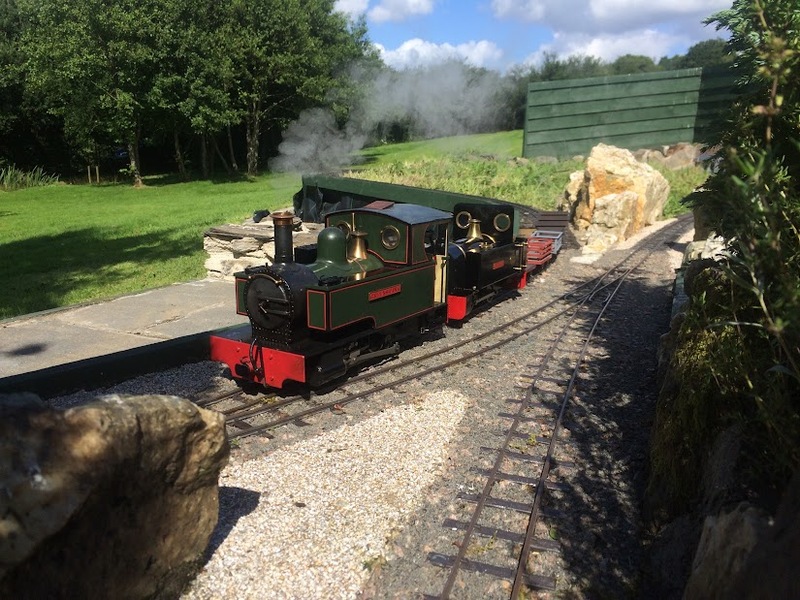 I had a go driving the Caradoc – my first time driving a steam loco by radio control. I found the fact that you can control the speed with the reverser somewhat confusing – and my inexperience was evident – but it was a satisfying run. Then I refuelled my Millie for another run. A grand day out on a really lovely line!